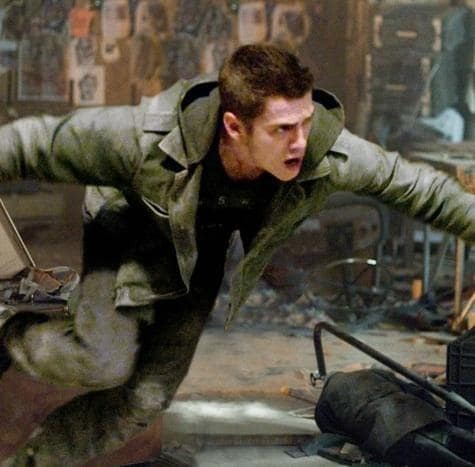 Here's Hayden Christensen, jumping from place to place in the movie Jumper. It also stars Rachel Bilson. Davey: So you're a Paladin and I'm a Jumper. What happens now? Mary Rice: I'm giving you a head start, son. Because I love you. You think you can go on like this forever? Living like this with no consequences? There are *always* consequences.